Dr. Karen MacMillan obtained her Bachelor of Science in 1989 and Doctor of Veterinary Medicine in 1991, both from the University of Guelph. After practicing in Ontario for 2 years she moved to Canmore in 1993 and has been at the Canmore Veterinary Hosptial ever since. In 2009, Karen became certified in Canine Rehab Therapy, allowing her to further develop her interests in canine sports medicine, puppy development and senior pet care. She enjoys all aspects of being a veterinarian, including surgery, dentistry and wellness care. When not at the clinic, she enjoys time with her husband, two athletic sons, Kylie her dog and Kona the cat. Karen is involved in numerous sports including running, skiing weight lifting and Pilates. Dr. Sylvia McAllister has been a veterinarian since graduating from OVC (Guelph), in 1987. She moved to Canmore the same year and has been happy to call it home ever since. 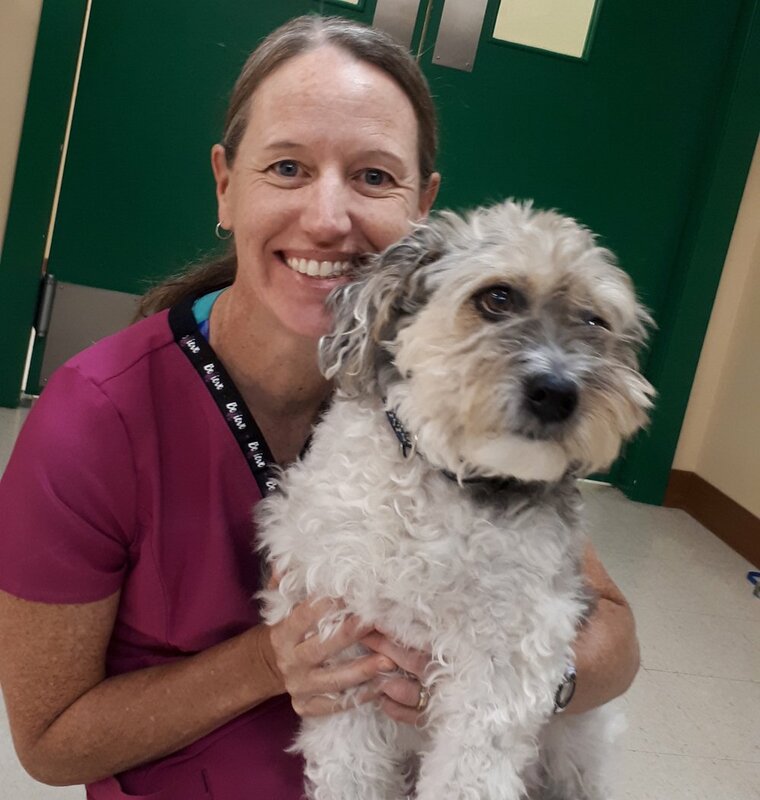 Sylvia enjoys caring for her patients in all facets of veterinarian medicine but especially surgery and diagnostic technology, including x-ray and ultrasound. She shares her house with two teenagers, two dogs and two cats, which keep her pretty busy. (She is also a hockey Mom). In her spare time she loves to travel, paddle board (with her of her two dogs on board), cross-country ski, ride her horse and practice her photography skills. Check out her great photos our website. Dr. Ian graduated with a Biology degree in 1996 and a Doctor of Veterinary Medicine degree from OVC in 1999. He was working in Brooks, Alberta in 2007 when the call of the mountains brought him to Canmore. Ian enjoys all aspects of veterinary care, and when not at work he spends time with his wife Allison, herds his three busy boys, a dog and cat, plays basketball, camps, hikes and bikes. Dr. Tracey graduated from the Ontario Veterinary College in 1996 and promptly moved out west to be in the mountains she loves. When not at work Tracey enjoys skiing, mountain biking, cycle touring, singing in the community choir, yoga and playing her guitar. She has also found time to complete accreditation in Veterinary Acupuncture and Herbal Medicine and is thrilled to integrate this knowledge into her veterinary practice. If you are looking for a holistic approach to your animal’s health care, talk to Dr. Tracey.